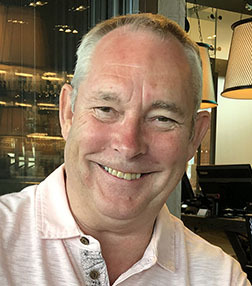 My name is Malcolm Ball, I am a successful Senior Project Manager and PRINCE2 Practitioner with a breadth of experience in the development and implementation of IT solutions for large and small clients across all sectors. I have specific skills in building relationships and understanding client needs, a thorough understanding of PRINCE2, the software development life cycle and software implementation. I am an excellent communicator, with experience of presenting to board level executives, department directors and business managers. I am a Prince 2 practitioner and have used various parts of the Prince 2 methodology in most projects I worked on. I am well used to dealing with stakeholders at board, management and user levels and have dealt with many external suppliers in both developing and implementing systems. I have many years experience as a developer in various languages and have managed development teams in various roles as Project Manager and Development Manager. I have over 20 years experience in implementing software systems into the public, private and health care sectors. I have excellent knowledge of implementing HR systems. I have over 12 years experience of developing desktop and mobile applications using C# and the .NET framework. This gives me a detailed understanding, allowing me to converse with developers on their level. I have managed developers working on other software platforms such as Java with Oracle, HTML, ASP, ActionScript and ColdFusion. Responsible for initiating, developing and implementing a range of projects, whilst ensuring excellent communication within the team and across the business as a whole. Management of the development and implementation of a software application for the calculation of external wall insulation and labour costs. The suit of software comprised of a desktop application developed in Flash and ActionScript with a mobile application built for the Androd, iOS and Windows platforms. The external database was SQL Server cloud based and accessed through ColdFusion objects and web services. Responsible for all operational functions including pre-sales demos, client training. Worked with the development manager in setting up a more agile way of working resulting in more streamlined development. Set up a Quality Management System (QMS) providing processes and precedures to be followed by the team. After my post was made redundant at Microsoft Business Solutions, I set up my own company to develop software and provide Project Management services to other organisations. I worked on many varied types of projects from HR, Payroll to Bus Lane Enforcement and Instalation of Alley Gates in Liverpool. I managed web developments in Liverpool Council, a Library Management system in Dorset Council and used car locator web sites in Manheim Retail Services. Set up a new development team in a new software company and managed the team of two permanent and three contract developers in the production of a Windows based project costing application. I joined the Army in 1971 after being made redundant from an apprentice motor mechanic job, I was recruited at the Bradford Army Recruitment Office. My career spanned 22 years starting out as a Data Telegraphist and progressing to Yeoman of Signals. I started my Open University degree whilst serving in the Army and completed it whilst working at PWA Personnel Systems. Most of my career with the Royal Corps of Signals was geared towards becoming the best in operational communications. To achieve this, it was necessary to complete several selection exams, interviews and courses. These all culminated in attending a yearlong course at the Royal School of Signals. On completion of the course I was promoted to staff sergeant and made a Yeoman of Signals. The civilian equivalent to this is a BTEC in Telecommunications Engineering. Three-week course at the ADP centre at Blandford culminating in written and oral exams in SSADM gaining a certificate of proficiency. Other than infantry duties, I spent 2 years working in a military computer centre, in Northern Ireland, during the troubles early in the 70s. For my 22 years service in the Royal Corps of Signals. Leeds City Council had started rolling out bus lane enforcement cameras across Leeds, I took over the project to continue with other cameras. I took on the second phase of installation and picking up on issues with gates already installed. This required close cooperation with the gate installation teams and teams issuing and maintaining keys. I also had to liaise with councilors and residents regarding remedial works. Employed to implement software and processes, after a yearlong strike by refuse collection services, Leeds council had to set up working practices and procedures agreed through negotiations with the unions for their return to work. Customisation, development and implementation of a large HR system with interfaces to other lagacy systems withing the Council. The project was carried out over a period of 18 months at a cost of circa £150k.